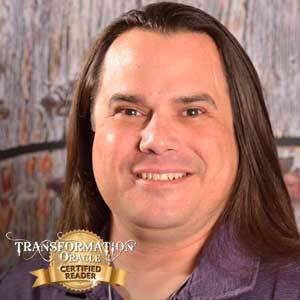 JASON ANTALEK does Akashic Record Readings, Transformation Oracle Readings, and Angelic Reiki Healing. He combines the insight drawn from the Transformation Oracle, wisdom of the Akashic Records and the healing energy of Angelic Reiki to provide knowledge and healing in the highest good of everyone. He provides Soul-Level understanding supported by Angels, Archangels and Ascended Masters. Jason opens individuals up to their Divine gifts and uncovers the restrictions that are separating them from their abundance. Please call (720) 434-8479 or click here to email Jason for an appointment. The Akashic Records are an energetic highway of information that holds the history, present and possible futures for each soul ever in existence. All the thoughts, decisions, choices and consequences of our current incarnation are constantly written into our personal Akashic Records. This knowledge is more accessible to us during this time than at any other period in modern human evolution. As we experience a planetary consciousness shift, it can be beneficial to tune into this wealth of wisdom in order to better understand ourselves. Through Soul-Level understanding we are able to accept our Divine gifts and grasp what truly drives us. By embracing our Divine gifts, we are able to empower ourselves and enjoy the abundance that is available while experiencing our current third dimensional reality. Soul-Level understanding validates much we know about ourselves while also illuminating the shadows created in our minds as blocks and restrictions. During this presentation we will discuss these topics in depth. For those with an adventurous Spirit, there will be an opportunity to discover what energies are infused with your Soul by receiving a live reading that will be shared with the group. Explore Jason’s readings: Rebalancing After a Move.